Wonderwheel Recordings is proud to present a special collaborative album between Italian Afro-Futurist beatmaker DJ Khalab and Malian master musician and Griot Baba Sissoko. Previously known for a string of buzzing solo releases on fellow Italian producer and close comrade Clap!Clap!’s Black Acre Records, Khalab has developed an international reputation for his fusion of tribal drums, deep bass work, and heavily layered & dense electronic textures. It was a natural evolutionary branch to collaborate with multi-instrumentalist Sissoko (regarded as the undisputed master of the original talking drum – the tamani), who had been living in Italy and conducting prolific career, collaborating with the likes of Ibrahim Ferrer, Buena Vista Social Club, Don Moye and Art Ensemble of Chicago, Dee Dee Bridgewater, Oumou Sangare, Toots Thielemans, Toumani Diabate, Ballake Sissoko, and many others. 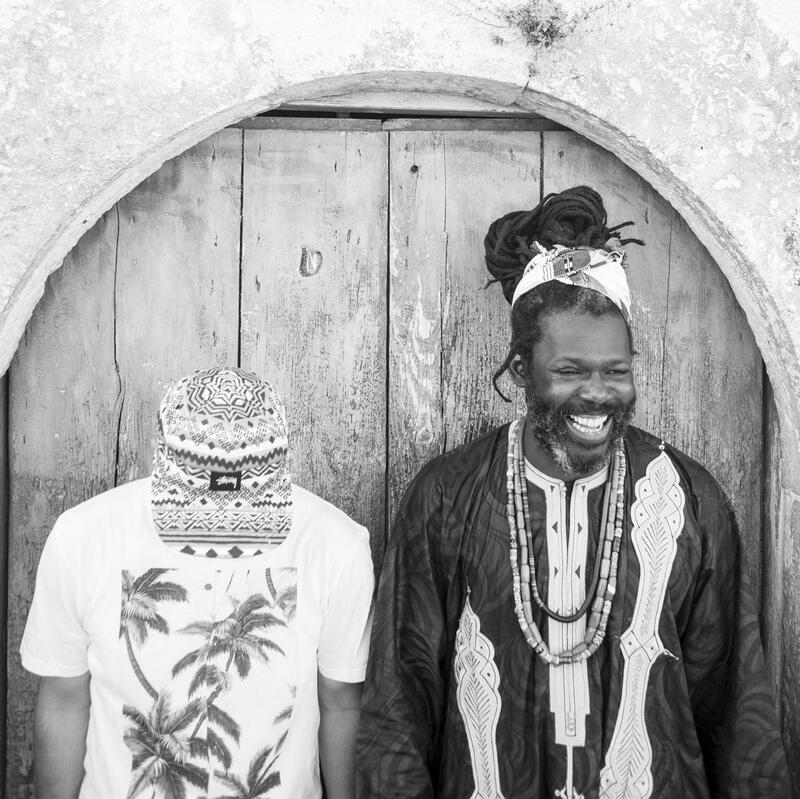 The sound of the self titled Khalab & Baba album is at once both entirely new while remaining familiar for both avid listeners of electronic music and traditional African sounds. The influence of Amadran, a repetitive and hypnotic musical structure typically found in Malian music gets re-translated in the studio by Khalab to great effect in tracks like “Nana” with it’s repetitious percussion loops, encroaching synth drones, and four to the floor beat. Tracks like “Bognya” and “Magny” with it’s stuttering drums, wailing vocals, and bass growls become more immediate, while “Tata”, “Ko Djodo” and “Lenke” show restraint with a few minimal touches, resting on the traditional sounds and building around Baba Sissoko’s unmistakeable voice and musical talent.